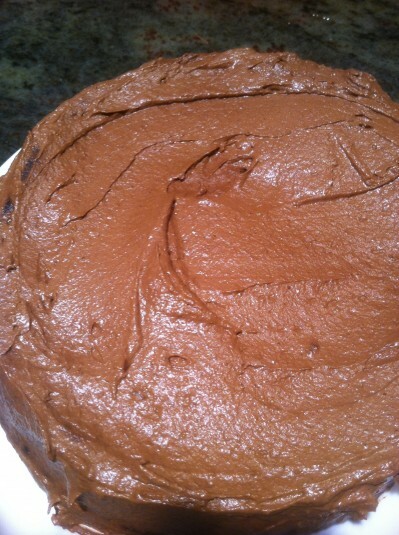 Thank you to Ellen Jaffe Jones, for sharing this healthy vegan chocolate cake recipe from Eat Vegan on $4 a Day! Ellen is committed to creating healthy dishes that are super yummy and affordable. Learn more about being vegan on a budget from her blog: The Veg Coach or chat with her directly on her Facebook page. 2, To make the cake, put the flour, cocoa, baking soda, and baking powder together in a medium bowl and stir with a dry whisk until well combined. 3. Put the whole dates, the pineapple, applesauce, and banana in a blender and process until smooth. 4. Combine the beets, walnuts, carrots, chopped dates, optional currants, and zucchini in a large bowl. Stir in flour mixture, soy milk, and vanilla extract. Add the blended date mixture and mix well. 5. Pour the batter into a 9 x 13 nonstick baking pan or two 9 inch round non-stick pans. Bake for 1 hour or until a knife inserted into the center comes out clean. Cool in the pan on a rack for 10 minutes. Remove from the pan and transfer to a serving platter. Tip: Because this cake batter is exceptionally moist, the one-hour baking time, which is longer necessary for most cakes is needed here. Put all the icing ingredients in a blender and process until smooth and creamy. Spread over the warm or cooled cake. Let us know what you think of this easy vegan recipe: Chocolate Surprise Cake!